When Disney decided in 2014 to rebrand all of the old Expanded Universe into “Legends,” which is just a fancy way of saying “non-canon,” people were understandably upset. After all, the old EU was practically a universe of its own, full of engaging and varied stories enriching the greater Star Wars saga. It was also a convoluted mess that constantly conflicted with itself, since it had no guiding hand to make sure all of these new stories made sense in the greater narrative. Fast-forward two years, and now Disney has its own version of the EU, all made under the approval and scrutiny of the Lucas Story Group. While this new EU isn’t nearly as fleshed out as the old (Thrawn, you are sorely missed), it is off to a good start. So now, on Star Wars Day, it seems right to take a look at the best new characters that Disney has introduced in their new EU. Thanoth first appeared in Marvel’s Darth Vader series as Vader’s supervisor/partner. While he hasn’t gotten very much time to shine yet, he is memorable mostly for his killer facial hair and shrewd personality. When he and Vader are tasked with tracking down some thieves (who Vader was working with), Thanoth came very close to discovering the truth armed with nothing but his cunning intellect and will to succeed. Thanoth comes off as a Sherlock Holmes-esque smooth talker, and I hope that he isn’t forgotten about in later issues. While many were disappointed with Aftermath when it first came out, few can argue against Sinjir’s inclusion on this list. Sinjir is one of the four protagonists of Aftermath, a former Imperial Loyalty officer turned reluctant rebel after a traumatic experience on Endor. Sinjir is most memorable for his constant drinking and wise-cracking, adding some comedic and unpredictable elements to the Aftermath crew. Plus, he is one of the first openly gay characters in Star Wars, which is pretty neat. Sinjir will be appearing again in this summer’s Aftermath: Life Debt, and here’s hoping he hasn’t completely given up drinking yet. 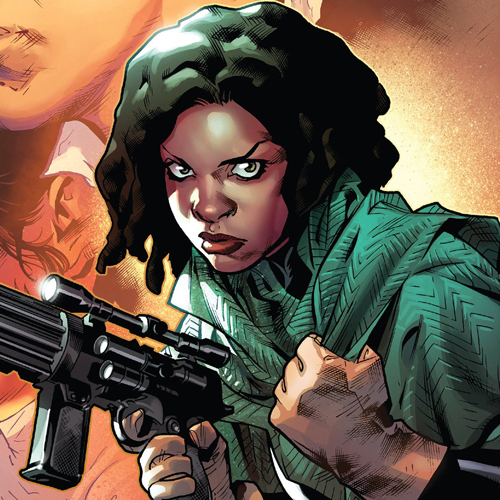 Sana was the biggest surprise in Marvel’s Star Wars, as the first time we see her in full she introduces herself as Han Solo’s wife (WHAT?!). It turns out that that was an exaggeration on her part, as she and Han had only pretended to get married in order to make a distraction while their partners stole some valuables. Han ran off before she could get her cut, and so she started looking for him (and telling people they were married, because drama, I guess). Eventually, she found him and Leia as they were hiding out on a small, dangerous planet. Sana is an interesting character in her own right, and the only reason she isn’t higher on the list is because of the fake-out of her marriage to Han. Do it or don’t, Marvel. Don’t tease. While none of these would-be apprentices are particularly threatening individually, as a group, they pose an interesting challenge for Vader. Turns out that after Vader’s failure on Mustafar, the Emperor secretly began training a bunch of potential successors, from a General Grievous knock-off named Karbin to a couple of lightsaber-wielding tech twins. This group is the most interesting when you consider that none of them have any force-related abilities, instead, they are all fueled by technology and training. That makes Vader’s conflict with them less about proving he is the best, but that the older, mystical training in the force is superior to over-relying on technology. Plus, it is fun to see Vader kill them one-by-one. It gives the Darth Vader comic a nice little plotline to rely on for a while. I think any Star Wars fan can agree that Wookies are cool. But in the movies, there has only ever been one Wookie that matters: Chewbacca. 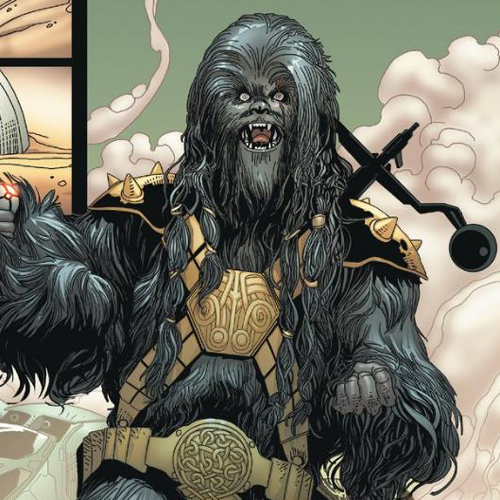 Well Darth Vader fixes this oversight by giving us Black Krrsantan, a Wookie bounty hunter who is covered in scars and volunteers to fight in fighting pits for the hell of it. Black Krrsantan isn’t dumb. He is proven to not only be a resourceful bounty hunter but also surprisingly intelligent, lying to other bounty hunters as needed. Krrsantan proves that brawn, brains and a lot of fur can make for one memorable character. Grakkus isn’t like other huts. Instead of lounging in some chair and ordering people around, Grakkus uses several robotic legs to help him walk around quickly. (He apparently does a lot of bicep curls, because have you seen the size of his arms?) Grakkus is also a collector of all things Jedi, because he is a hut and can do whatever he wants, and hey, we all need hobbies. After Luke shows up to Nar Shaddaa looking for a ride to Coruscant, Grakkus kidnaps him, uses him to open Jedi holocrons and makes him fight in his arena. It is a shame that Grakkus is apparently captured at the end of Star Wars’s second volume, because more muscular Huts are always a treat. He is confirmed to appear in Poe Dameron soon, so we have more to look forward to in the future. Look, more murder bots! As much as I love Mister Bones, I have to give these two the award for most entertaining killer robots. 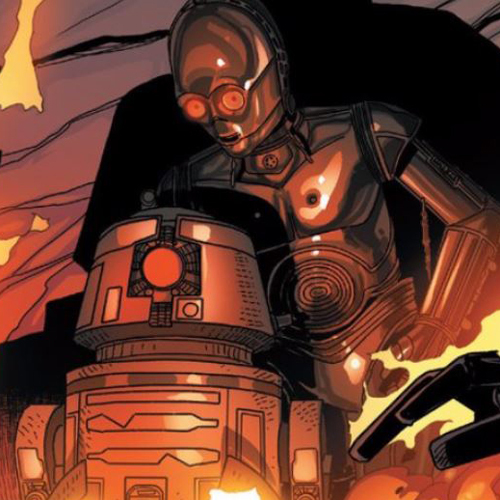 Like a dark mirror of C-3P0 and R2-D2, Triple-Zero and BT-1 are the murderous henchmen of Darth Vader and Dr. Aphra in Darth Vader. Where 3P0 is a bumbling but lovable idiot, Triple-Zero is a hilarious and torture-obsessed protocol droid who should under no circumstances be left alone in a room with anyone. BT-1 is a straight-up assassin droid, armed the missiles and machine guns. The two of them are a match made in heaven (or hell). The duo gives a lot of comic relief to the dark and somber Darth Vader comic, and more than earns their spot on this list. 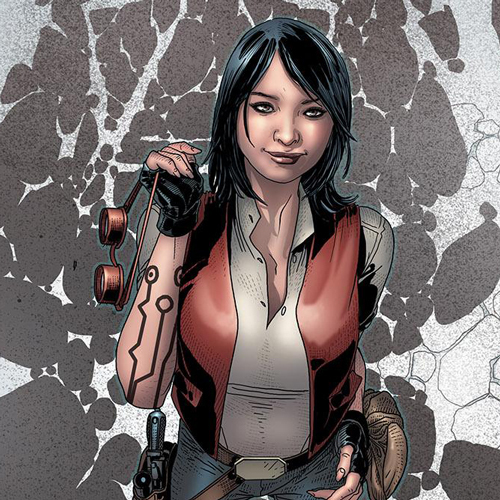 Much like Triple-Zero and BT-1, Dr. Aphra gives the Darth Vader comic some much needed levity, but unlike them, that isn’t all she does. She is a well-rounded and developed character compared to her counterparts. She is one of those characters who can be both tragic and comedic under different circumstances, and is honestly so interesting that she could very easily carry her own comic if Marvel chose to do so. As it is, Darth Vader has done a fantastic job exploring her character and motivations, but it can sometimes be irritating when a side character is more compelling than the titular one. As the stars of the best novel in the new canon, Lost Stars, it makes sense that these two are also the best characters. Many regard them as simply the Romeo and Juliet of Star Wars, and while that comparison is partly true, these two are so much more than simply forbidden lovers. Ciena and Thane give us not only a glimpse into what the life of Imperials is like, but also how Imperials come to grips with the morality of what they are doing. The best part is that while the two of them come to very different moral conclusions on the Empire, neither seems wholly right or wrong. They don’t agree with each other, but they, and us, can understand where the other is coming from. I am intentionally not spoiling Lost Stars here because if you haven’t read it, you owe it to yourself as a Star Wars fan to read it as soon as possible. Yes, it is that good, and so are they. Any characters that you wish were included? Why haven’t you read ‘Lost Stars’ yet? Tweet me @adam_mcconnell. And be sure you follow us @YouNerded.